Have an important question or issue that can't wait? 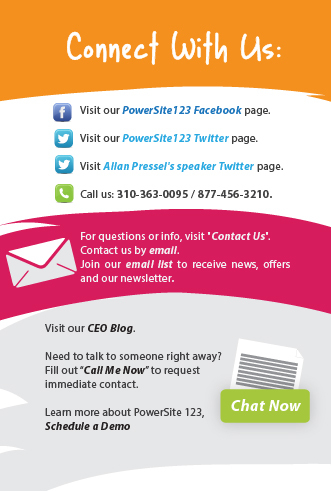 Once you submit this information, a PowerSite123 representative will call you back, usually within a few minutes. When possible, it might even be our CEO!